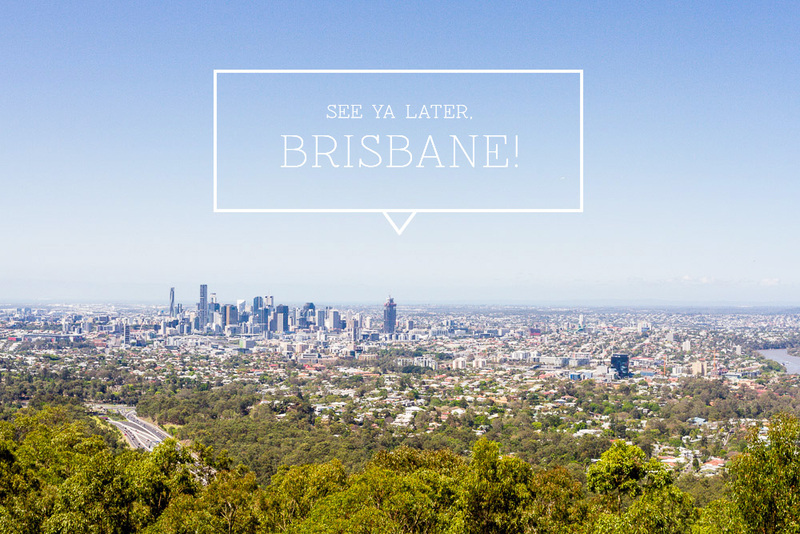 Heading to Brisbane any time soon? 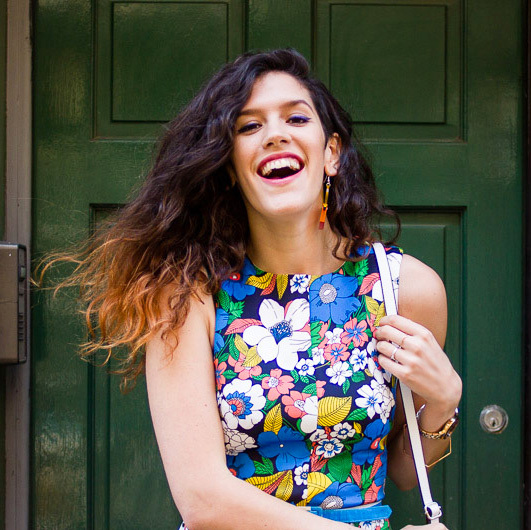 If you’re staying in the city then this Brisbane guide may be for you. 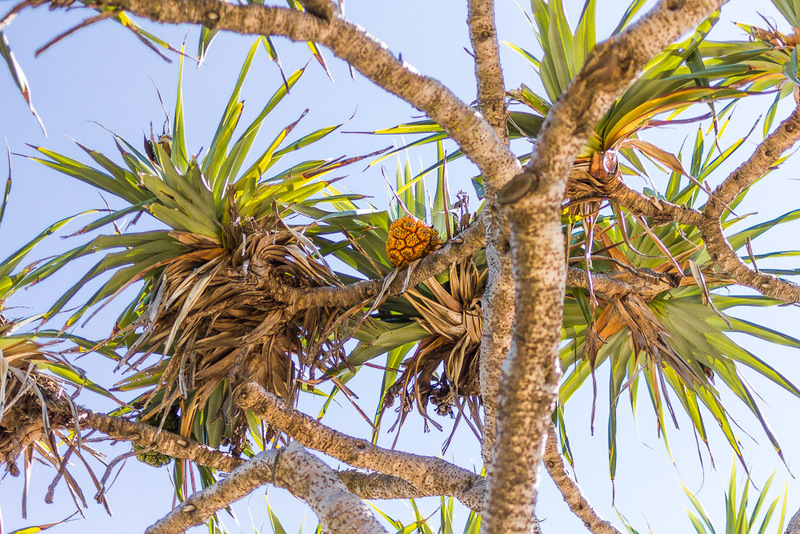 If you’ve got a little more time, want to escape the CBD and want to see what else Queensland has to offer, then I’ve made four suggestions of day trips from Brisbane below! 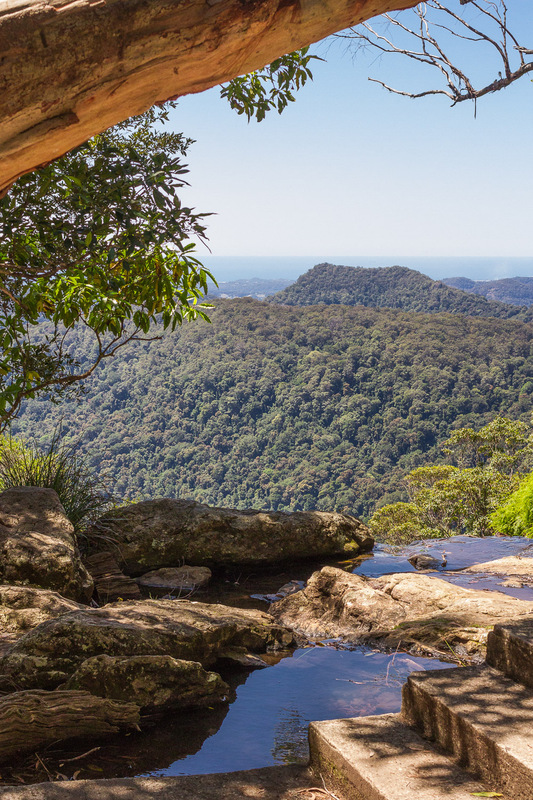 From waterfalls to botanic garden ponds, sand and sights, escape to the Aussie coast or hinterland and start planning your leafy day trips from Brisbane. 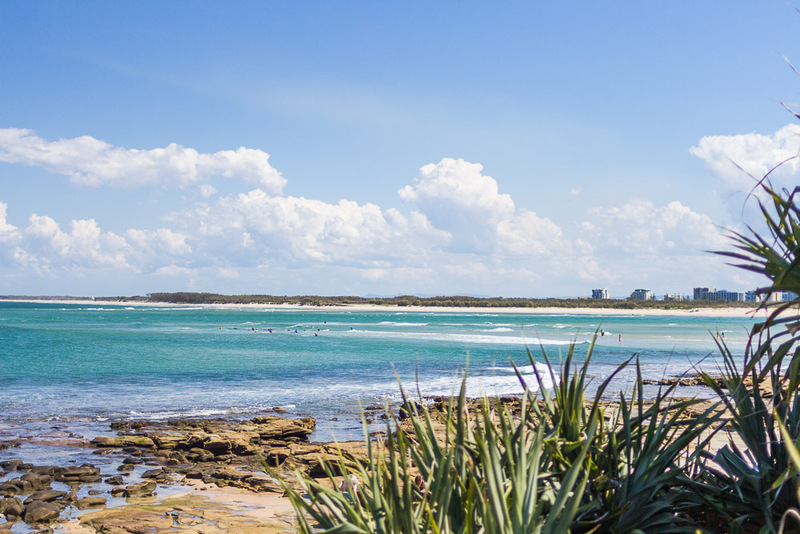 Kings beach in Caloundra was the first place I touched down on Aussie sand and get into the southern hemisphere’s waters. It’s funny to look back and think about how apprehensive I was to get into the water, let alone bounce over waves. Fast forward 2 weeks, it was near impossible to drag me out of the sea! 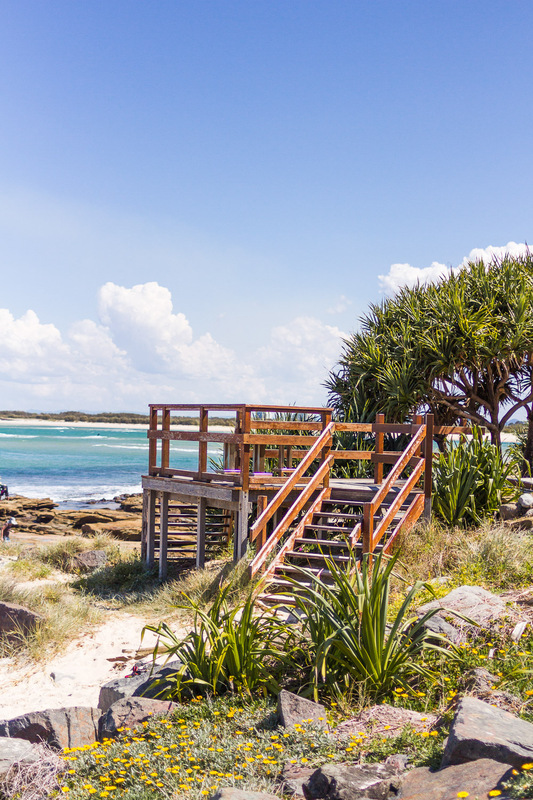 There are several beaches around the Caloundra peninsular, Dickie beach for surfing and shipwrecks and Golden beach for peaceful strolls but Kings beach‘s positioning means it’s just the right side of safe and sheltered. 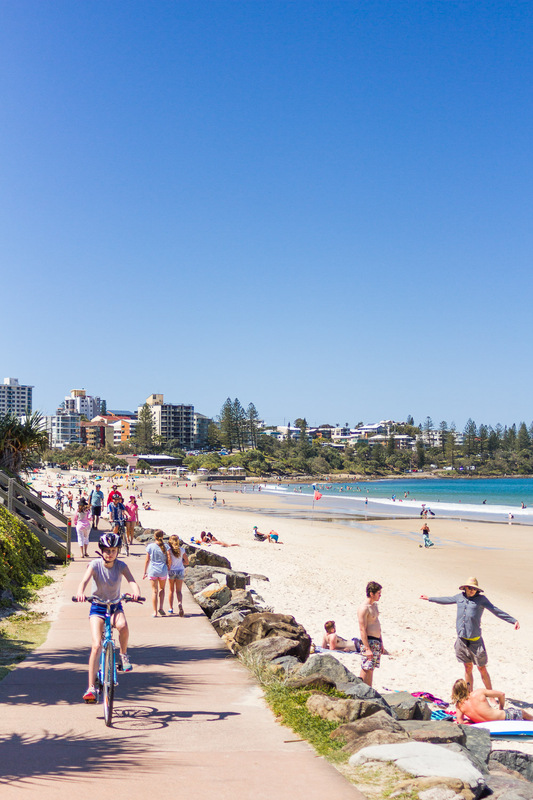 The promenade takes you straight over the rocky outcrops to the sandy beach plus there are restaurants and pubs inland, grassy areas for games and fountains for kids to play in. 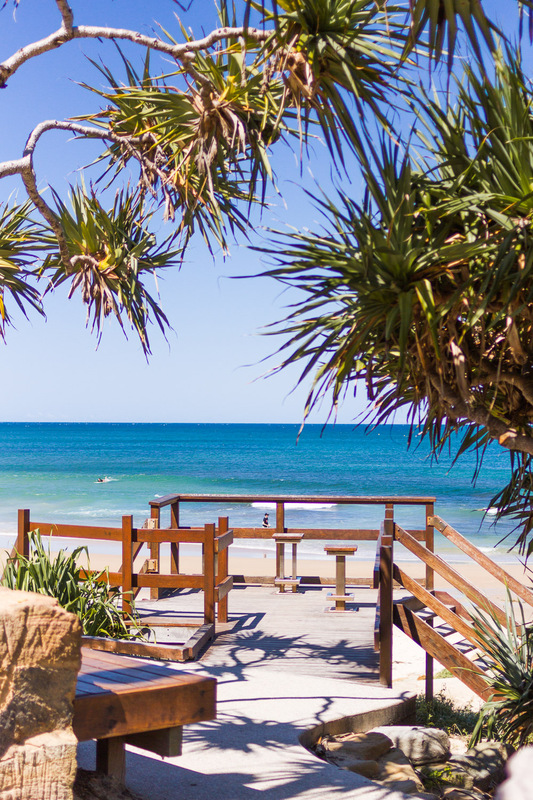 TIP: If you’re thinking of staying in Caloundra for a weekend, head down to some of the smaller beaches too. I caught sight of my first pelican whilst kayaking, the most incredible sight on my trip! It takes just over an hour by car to drive from Brisbane, northwards to Caloundra (public transport will take you around 3 hours.) 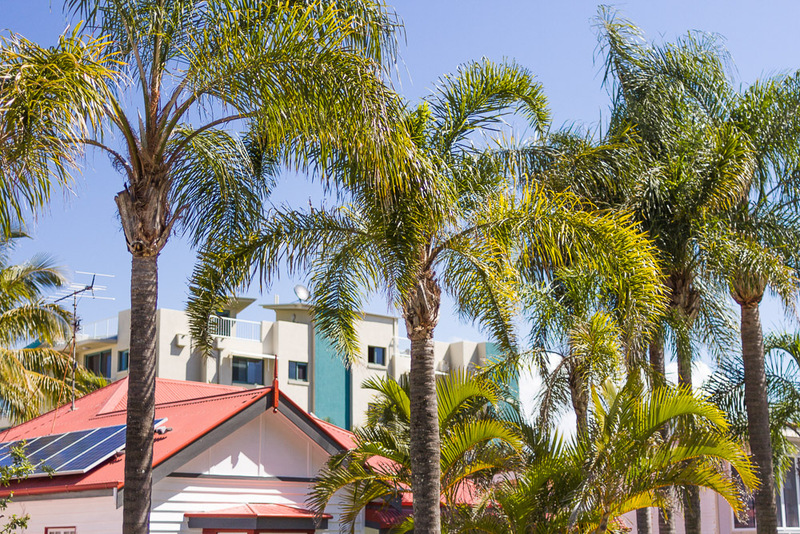 Find yourself a spot to park in the residential streets and wind your way down to the beach. Don’t forget the sunscreen! Continuing with the north of Brisbane, but not quite as far as Caloundra, you’ll find the Glasshouse Mountains national park. A collection of funny shaped volcanic peaks, this is hikers paradise! The mountains are clearly visible from miles around and one even looks like a gorilla so you know, worth seeing! Our hosts worked us hard and at 10am on our third day we found ourselves at the top of Mount Beerburrum! This might have been a sensible time to go though as already the heat had us nearly toppling off the sides! It’s all worth the near-vertical clamber (honest!) for the sight of the surrounding mountains amongst the giant butterflies make for a victorious view. TIP: There are various walks in the area, some involving rock climbing and others way more chilled. Apparently Mountain View Road Maleny is the best place for photos, just FYI. 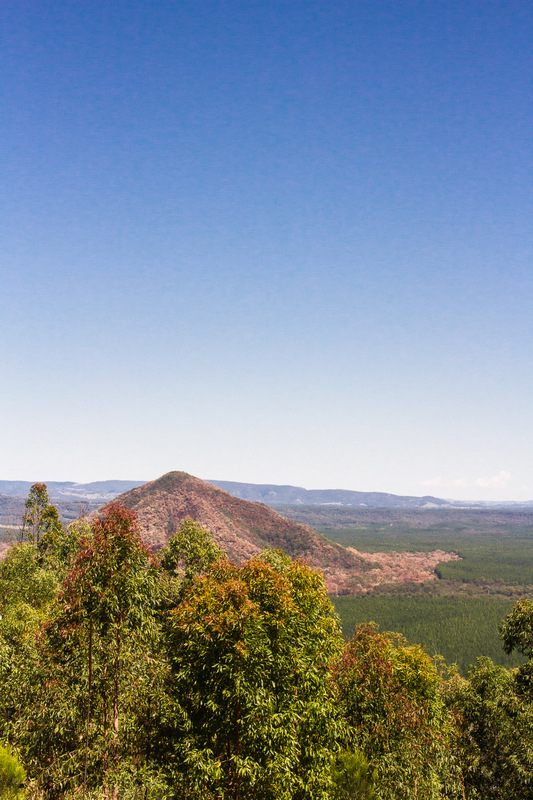 Mt Beerburrum is just under an hours drive from central Brisbane off Steve Irwin Way. There are signed carparks for various walks. Mount Beerburrum Track is tarmac and takes around 1 hour. Time to head south down to the very bottom of Queensland to the Gold Coast! 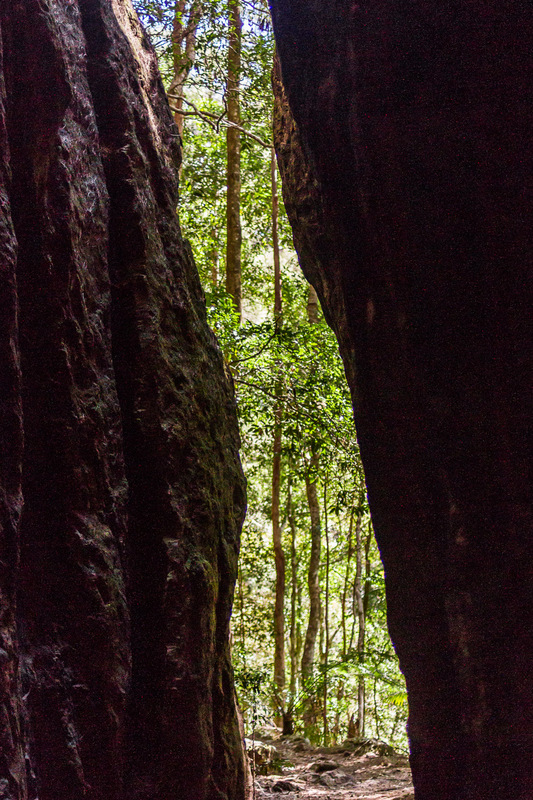 Springbrook was one of the highlights of my whole trip and really lets you witness the massive breadth that the Queensland countryside offers. 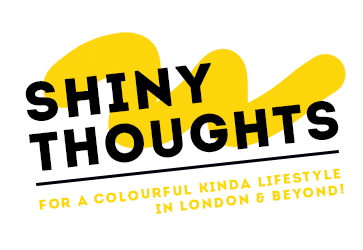 I’ve not seen much of the world so I was walking around with my mouth open, snapchat in front of my face for most of this circular walk, but even the most experienced traveller is sure to find it enjoyable. After winding your way up Canyon Creek, park up and take in the view at the lookout then it’s time to start the trek! 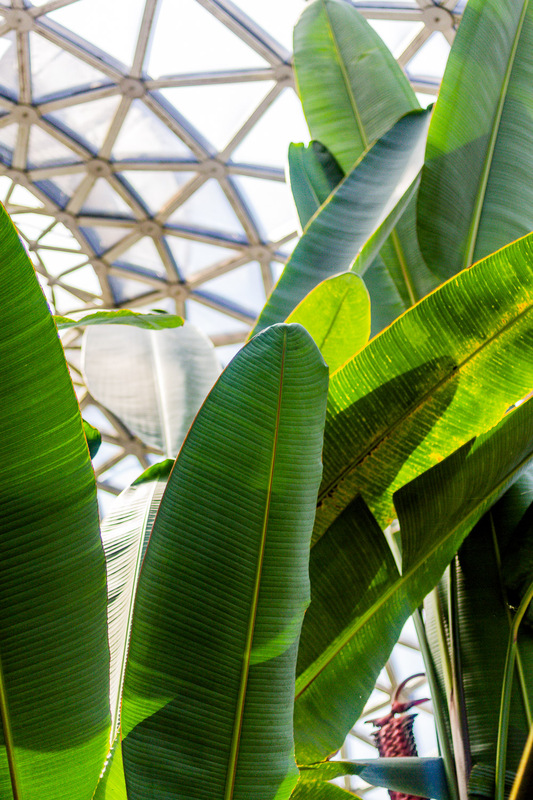 Taking you down into the rainforest and vines, under water spraying rock outcrops, past a waterfall and plunge pool and back up the rock side, it’s an amazing education in the diverse plant life and all the creatures who live around it. 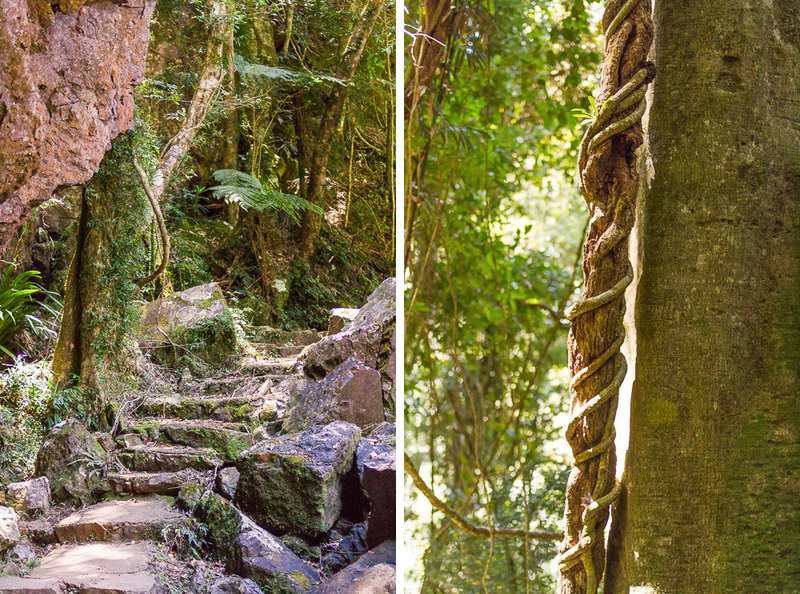 Think trees with roots like spiders, plaited vines, paths through split rocks and bird cries you never knew existed. TIP: You’ll need a well earned rest afterwards so head to the kooky Rosella cafe for the best home cooked lunch you can get. Just be patient as it’s pretty much just one old lady whipping up all the meals! 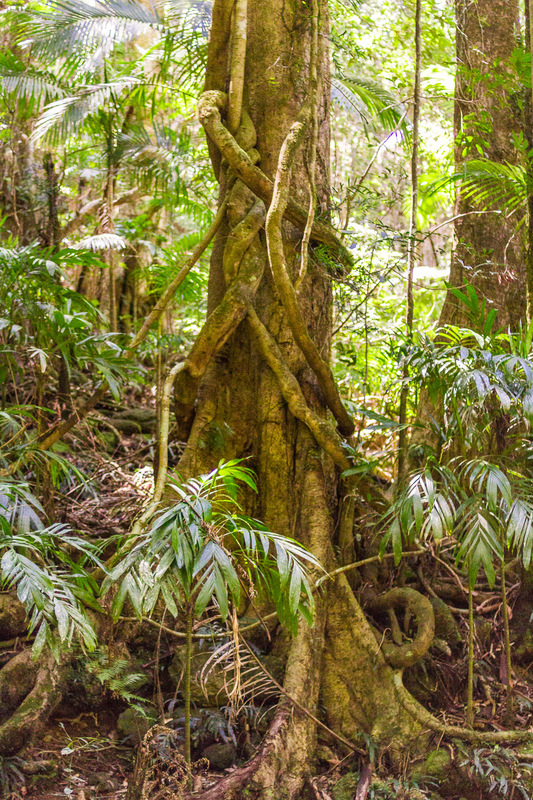 Springbrook is an hour and a half from Brisbane by car and includes a very winding route. Bring those travel tablets! Time to finish on somewhere a little closer to home! This was at the top of my list of things to do in Brisbane to the point where I kept nagging about it. 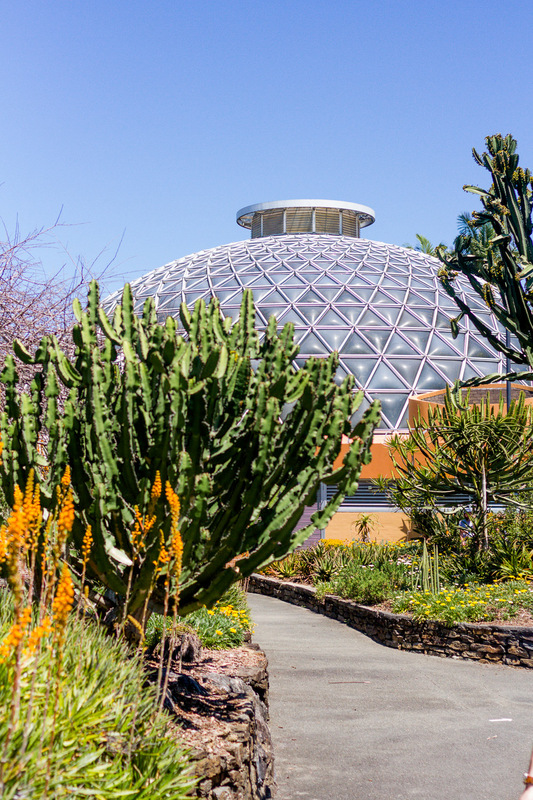 Finally, on our last day we paid the Brisbane botanical garden at Mount Coot-tha a visit to try and see as many of the 20,000 world plants as we could! 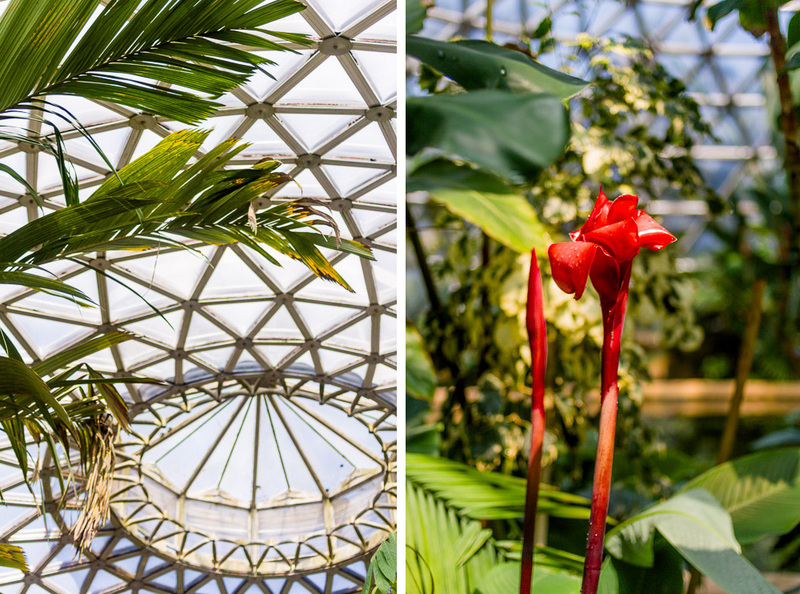 My favourite part was the glass house with all the various palms. Who knew there were so many types?! If you’re pushed for time, make sure you’ve at least seen the native Australian section. 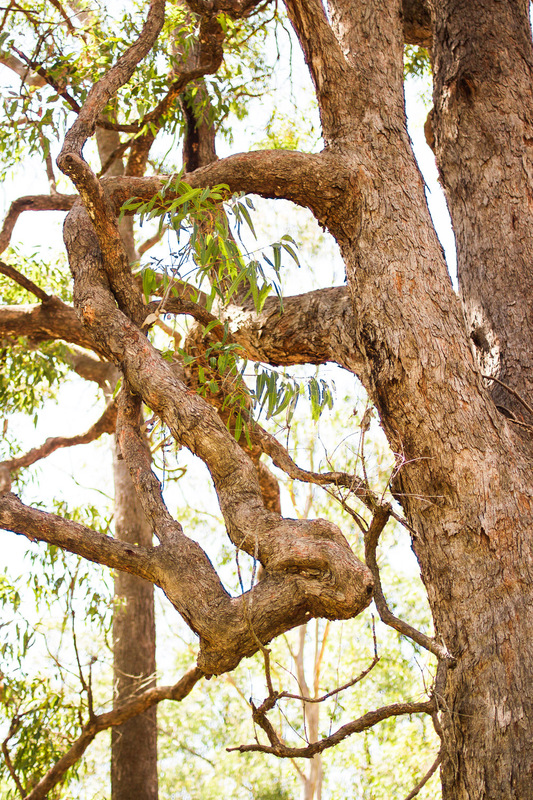 You’ll likely see a cockatoo, or cocka-two amongst the Grevillea. TIP: It’s worth heading to the busy cafe at the end to make your way to the look out point photographed at the top of this post. There’s a simply story of Brisbane’s history mapped out on placards so you can leave having learned something too! Got more time? 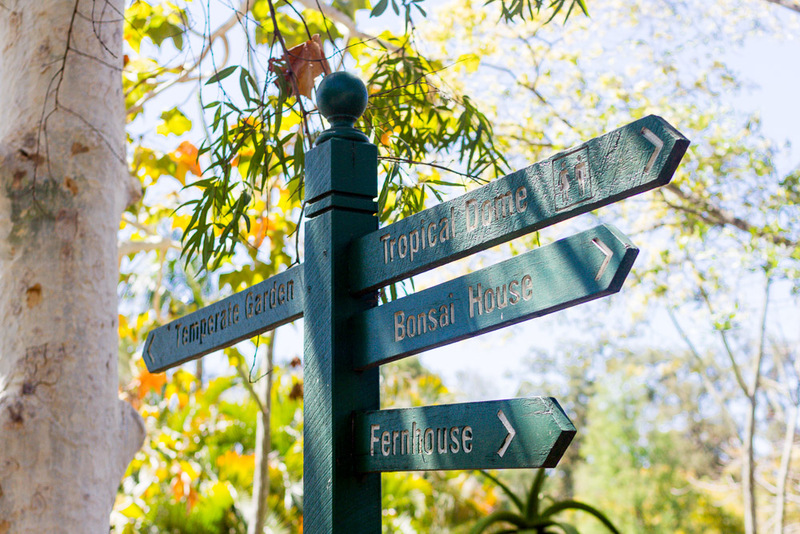 Head to the observatory next door, the library or take a walk around the forests. 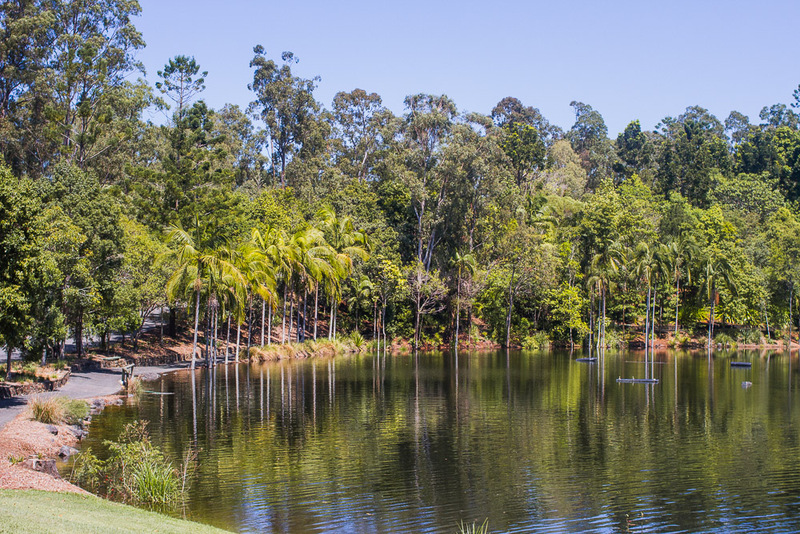 Mount Coot-tha botanic gardens are around 15 minutes from central Brisbane and are open 8:00 – 5:30 and are free to enter. Parking is available around the entrance.